Princess of Wales, Diana requested for the song during her marriage to Prince Charles and it was also sung at her funeral. It was also sung during the funeral of former British Prime Minister, Margaret Thatcher. A closer look at the words of the song will tell you that British people are required to always put their country first, before self. From the time they are born, they enter into a covenant of service and sacrifice for their country. In turn, the British society rewards and honours everyone for their bravery, love and sacrifice. That is why it is a covenant because it would not demand from you that which itself is unwilling to give you. Back home, a casual look at the history of Nigeria may not show who our heroes are as a people. Of course, there are the founding fathers and proponents of self-rule from Great Britain. Your idea of who your hero is may depend largely on which ethnic or religious divide you belong. The Northern people regard Alhaji Sir Ahmadu Bello as their greatest hero. The Yorubas and Ibos would probably consider Chief Obafemi Awolowo and Dr. Nnamdi Azikwe as their heroes respectively. But a look at the three prominent figures representing the Northern, Eastern and Western regions of Nigeria shows that they were only interested in pursuing and furthering their individual ethnic or regional agendas and not a Nigerian agenda. An example was the interview granted by the late Sardauna of Sokoto, Sir Ahmadu Bello. When asked if his policy of filling all key posts in the North solely with Northerners and not with other Nigerians was a temporary or permanent one, he responded thus: “In actual fact, what it is, is a Northerner first. If you can’t get a Northerner, then we take an expatriate like yourself on contract. If we can’t then we can employ another Nigerian but on contract, too. This is going to be permanent, I should say, for as far as I can foresee; because it would be rather dangerous to see the number of boys we are now turning from all our learning institutions coming out (and) having no work to do. I’m sure that whichever government of the day might be rather embarrassed and it might even lead to bloodshed”. I stand to be corrected but I am yet to see one Nigerian, dead or alive who will elicit the sort of overwhelming national response similar to the one shown by the British people when Churchill died. Or even similar to the ones expressed by the Americans when they lose some of their national heroes. On the contrary, when our leaders die, Nigerians go to the streets and rejoice. Perhaps, the only exception will be late President Umaru Yar’adua who had drawn the sympathy of Nigerians due to his protracted illness and sufferings. The younger generation of Nigerians will clearly have a lot of confusion about who a hero is or is not. We live in times when how much money a person has usually has no direct bearing with what he/she does. In today’s Nigeria, people who become rich by stealing public money are celebrated and honoured while the ordinary hardworking Nigerians are disregarded and ignored. A State governor, after only eight years in office gets a N200 million house and other benefits but pensioners who served and retired after 35 years are being owed their pensions for two years. We live in times when the man who kicks a ball across a field is given far more honour than the man who delivers a baby or goes to war to defend his Nation. You probably need to go round today and speak with younger people to enquire what their idea of a hero is in order to appreciate what value systems we are bequeathing to them. 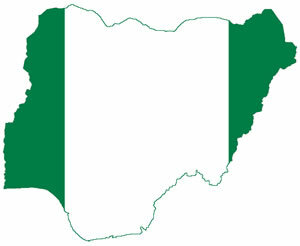 Nigeria today needs a total value and culture revolution. Things simply cannot continue as they are or there will not be Nigeria tomorrow. As people are born and attend schools when growing up, it must be indelibly engraved and inscribed on their minds and in their hearts that there is a secret covenant between them and Nigeria. The concept of the greater good and national interest must be taught to all and imbibed by all. Our children must be given the opportunity to study Nigeria’s history and understand how our country has been shaped through her different experiences. We must build a society and a country where the best and brightest amongst us are the leaders and not the brigands, thieves or people who became rich through corrupt means. We must teach the next generation that it is more honourable to die hungry than to steal and people must be made to account for the source of their wealth and riches. We must teach our children early in life that public office is an opportunity to serve the people and not for self-enrichment. We must continue to discourage over-night success and wealth gotten from unknown or illegal sources but we should celebrate, support and reward ingenuity, resourcefulness and entrepreneurial spirits. We must continue to uphold the principles of justice and fairness to all and strive to build a country where true honour is given to people who have put the nation’s interests before their own.